Start out by slivering your garlic and putting it in an olive-oiled skillet warming to the M side of ML. While it slowly begins to crisp, get to quartering your little heirloom tomatoes. When the garlic begins to turn golden, remove the pan from heat and let it cool while you wash your cutting board and various utensils. Add one drop of the oregano oil to the partially-to-mostly-cooled pan and add the pan contents to the ‘maters. Toss, seal and let marinate overnight. On the morrow, serve after sitting outside the fridge long enough to come back to near-room temperature atop crostini, drizzling each with a little balsamic vinegar and sea salt. 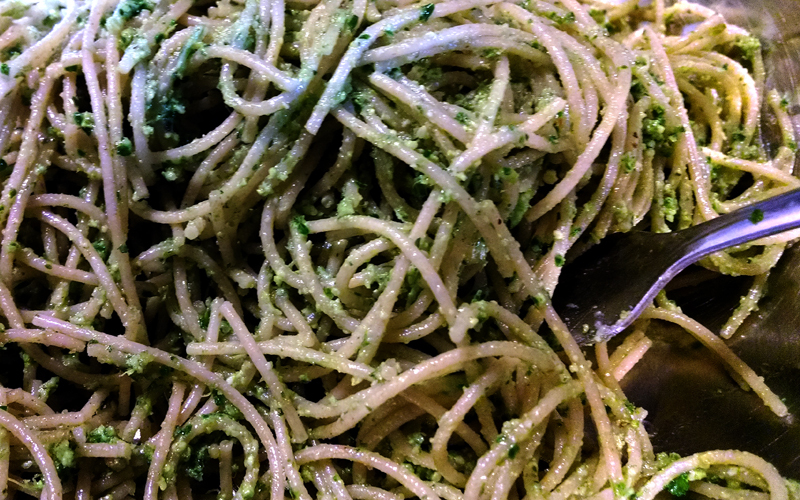 The oregano oil fills in any space left by the absence of fresh basil, being as savory a flavor as it is in this form. Things could really only have been made better by having baked the crostini myself — I know that it would’ve been made with love, which is no guarantee you’ll receive from a store bakery. 4 spoons with crostini, 5 without or with imagined others! Boil your soaked beans for thirty to forty-five minutes. While that’s going on, chop onion into large chunks and throw into food processor; blend until paste-like. Then unload the dishwasher or something. Be patient, the beans will thank your digestive system later. 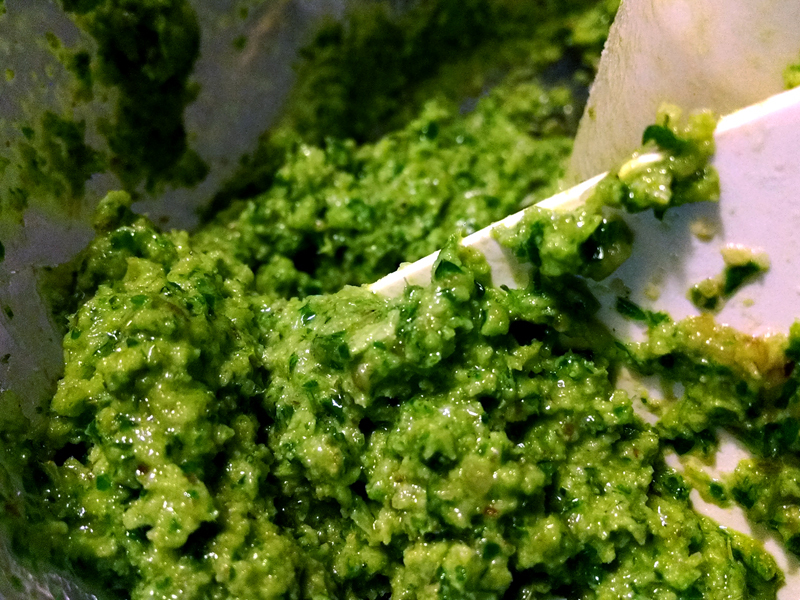 Once soft enough to chew without making a face, drain the matpe and add it to the food processor. Not burned, just made of black beans and shadows. Take food processor bowl out of fridge and begin making nuggets. Your oil should be warming in a deep sauce pan on M-MH, for when it reaches sizzle-upon-tossed-droplet-of-water status, it is time to fry your balls. Flatten each ball slightly as you put it in the pan; after about 60 seconds, flip one to see its color. Once a satisfactory dark amber brown is reached on both sides, remove them from the pan onto a paper towel for a couple minutes of draining. 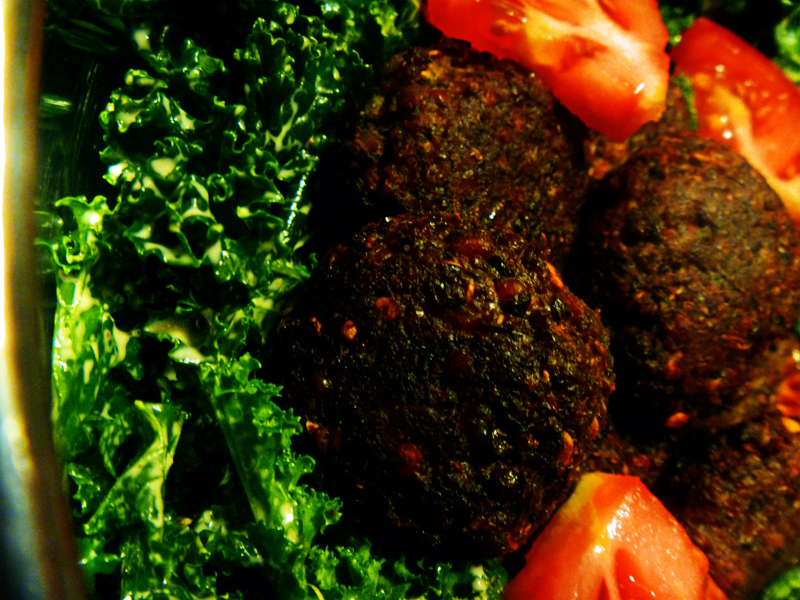 Arrange kale and sliced tomato on two plates, sprinkling each dish with 1/2 tsp salt and 1/2 tsp pepper. Top with your fried, protein-and-fiber-rich goodness. It will be spicy, and in fact was spicier than I anticipated. But in a good way. 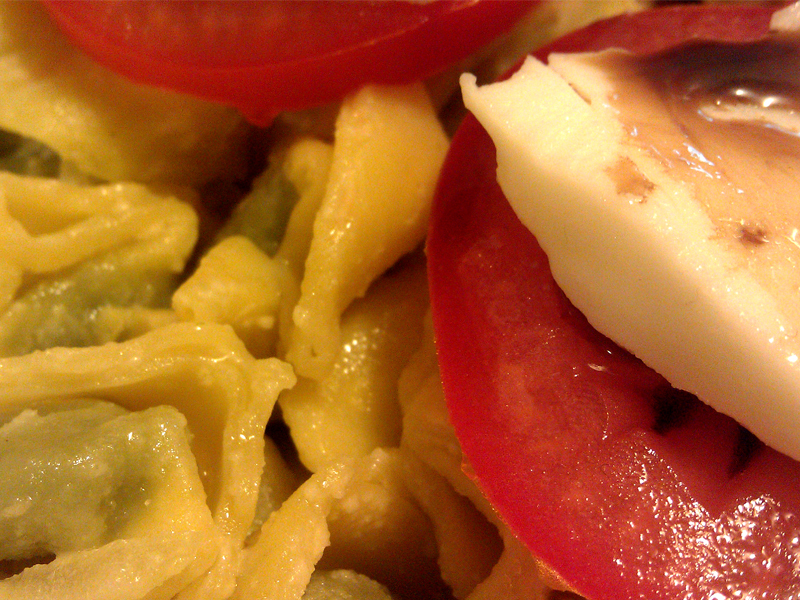 And I am proud that, egg notwithstanding for some, this is an entirely vegetarian meal. 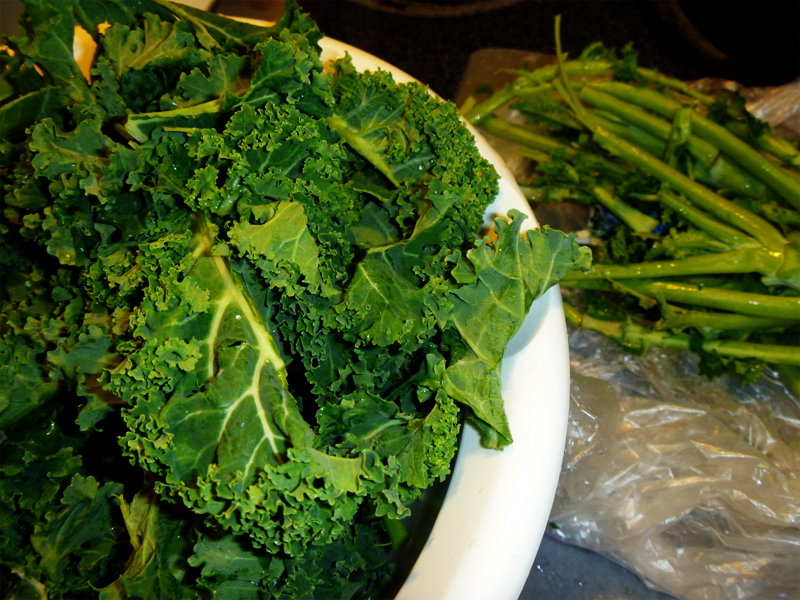 I am dutifully trying to add more kale into the culinary repertoire; right now I am trying to follow The Wahls Diet as closely as finances allow, and kale is an easy sell both for its price and nutritional value. Now I am going to go collect that poster-child paycheck from the Kale Commission. ‘Night! Chips Off the Old Stalk! It’s not just for the salad bar at Wendy’s. Now, I’ve never cooked with kale before but the nutritional information begs to have it added to my diet. The beauty of it begs photography. It seems like a win-win for a starving artist like myself. 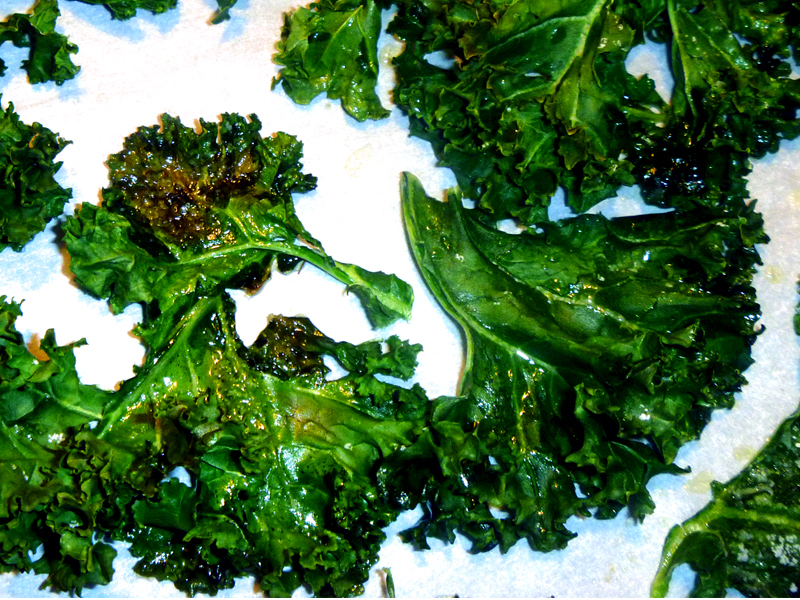 In fact, all I could do with it yesterday was the best starting point for cooking kale — chips. Cut the stems out and arrange bite-size pieces of the leaves on parchment paper. Drizzle with olive oil, salt, then put in a 350° oven for ten minutes. Don’t believe me? I didn’t believe it myself, but durn. In ten minutes you’ll have light, crispy stipules rife with vitamins. While I de-stemmed the entire bunch, I only cooked one sheet pan’s worth of leaves (it was a first attempt, after all). That ended up being an excellent appetizer for us last night, and there’s twice the amount left, prepped, in a tupperware bowl in the fridge. Nom!